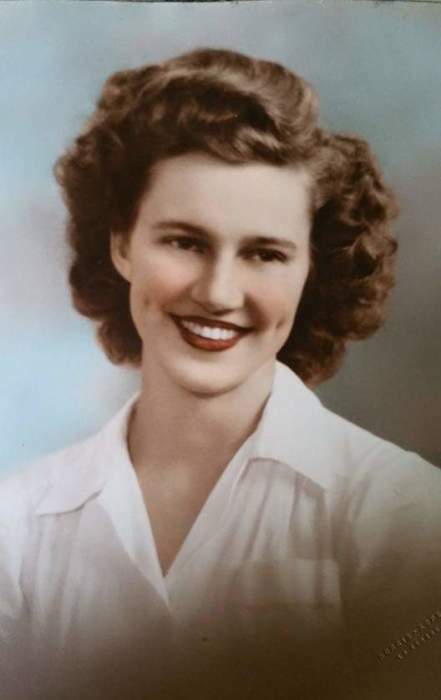 Janiece N. Ness age 90 of Prairie du Chien and formerly of LaCrescent passed away Monday, January 28, 2019 at the Gundersen Health System in LaCrosse, WI. She was born November 28, 1928 in LaCrosse, WI the daughter of Bernard and Emma (Moldenhauer) Steve. She married Grant Ness on June 16, 1951 at St. John’s Church in Nodine, MN. He preceded her in death on June 2, 2015. Janiece started teaching in a one room schoolhouse. She was educated and adventurous with a passion for travel. She explored Israel, Germany, Great Britain and coast to coast and border to border in the US. She wouldn’t speak an unkind word and always saw the best in everyone. She used prayer as an everyday tool and guide for herself and by extension those she loved. As she would say, “If you find what you were truly created to do for God, you will find peace, and love you, bye for now”. She is survived by her daughters, Cathy (Steve) Leahy and Patti (Jay) Hedley both of Bagley, WI, son in law Rick Von Arx of LaCrescent, 7 grandchildren, 3 great grandchildren, her sisters, Nyla (Donald) Diekrager of LaCrescent, MN and Sandra Schroeder of Dakota, MN. She was preceded in death by her parents, her husband, stillborn twin sons, David and Daniel and much beloved daughter Jane Von Arx.